Locally sourced from the United States. 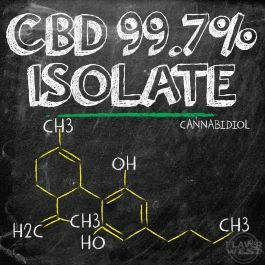 99.7% CBD (Cannabidiol) is one of the 150+ naturally occurring Phytocannabinoids found in certain strains of hemp and in all cannabis plant strains. It is legal in many places and is used in the management and treatment of chronic pain, PTSD, anxiety, anxiety disorder, depression, diabetes type 1, diabetes type 2, seizures, and in conjunction with allopathic approaches to diseases including cancer chemotherapy and radiation therapy. Anecdotally CBD is being used with positive results by patients for almost every illness.